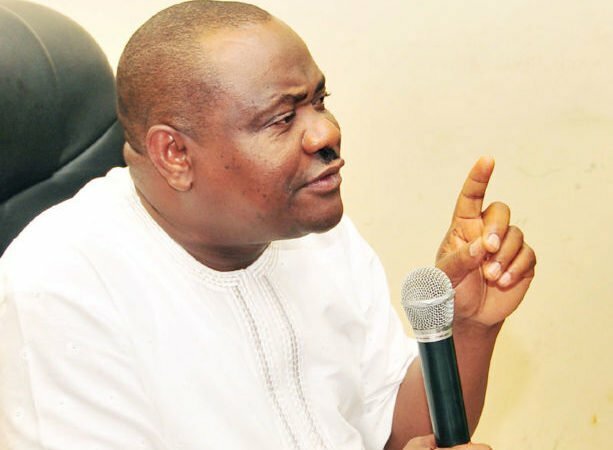 Rivers state Governor, Nyesom Wike has played down reports that he is nursing a Vice-Presidential ambition. Governor Wike said this while speaking at the Commissioning of some facilities at the Rivers state University. The Governor emphasized that rumours that he wants to contest as Vice President in 2019 is a charade aimed at distracting him. He said he will not be pressured under any guise to waste the resources of the state on any transient ambition, adding that he will not be deceived into wasting the funds of Rivers State. Wike also took a jibe at the Minister of Transportation, Rotimi Amaechi while speaking at the event. He said, “Wherever God places you, make sure , you do something for your people. It is not a matter of carrying SARS and Army personnel. SARs and Army personnel will not be with you on judgement day when the people demand to know what you have done for them”. “I heard they are saying I want to be vice president. Let no one deceive you. It is a lie. “I am not contesting anything. Tell them that pattern will not work for me. “Nobody will use the position of Vice President to deceive me into wasting the funds of Rivers State. Our funds will be used to develop Rivers State “, he said. Recall that former Head of State, Gen. Ibrahim Babangida had admonished Governor Wike when the latter paid him a visit at his home in Niger state, saying the Governor will be supported if he contests as a running mate to the Presidential candidate of the PDP in 2019.